Stormont has a history of power-sharing crises, but the current impasse comes at a critical juncture for Northern Ireland’s relationship with the UK, the EU and its own communities. After missing a previously extended deadline to form a government on 3 June, Northern Ireland remains without its devolved executive at a moment when its politics are suddenly relevant in London due to the Theresa May’s failure to win a majority in parliament. The Republican Sinn Fein and the Unionist DUP parties have refused to make a deal to form a coalition. Meanwhile, Westminster wants to avoid imposing direct rule or calling Northern Ireland’s third election of 2017, so further talks have been postponed until August. Despite having suffered at the polls over the last year, the DUP now holds the balance of power in the Westminster parliament, where it is the only Northern Irish party due to Sinn Fein’s customary refusal to take their seats and a collapse in support for smaller parties. Sinn Fein has protested that the minority Conservative government cannot fulfil its obligation to remain impartial in Northern Ireland while it relies on a Unionist party to stay in power and shepherd the Brexit process through parliament. As long as there is no deal at Stormont, the DUP will be the only Northern Irish voice formally represented in the Brexit process. The dynamics of Northern Irish politics have shifted in line with rest of the UK in the past year, reflecting renewed polarisation within its separate party system. Sinn Fein and the DUP, the two largest parties, both gained Westminster seats at the expense of smaller parties. Sinn Fein attracted younger anti-Brexit voters who are unconcerned by the party’s historical links to Republican terrorism. Sinn Fein is pro-EU, and has leveraged new support by declaiming the Conservatives’ pursuit of a hard Brexit. The prospects of Northern Ireland gaining special status in the EU or being unified with the Republic of Ireland, both supported by Sinn Fein, are anathema to the DUP. The Tory-DUP deal deepens the impact of any prolonged crisis of governance in Northern Ireland. Although the agreement in Westminster is confined to economic issues, if the DUP holds the keys to 10 Downing Street while the UK renegotiates the status of the Irish border with the EU, the optics will not be flattering. The European Commission’s mandated timetable for negotiations suggests that agreement on the border issue must be reached before the next phase begins in October. 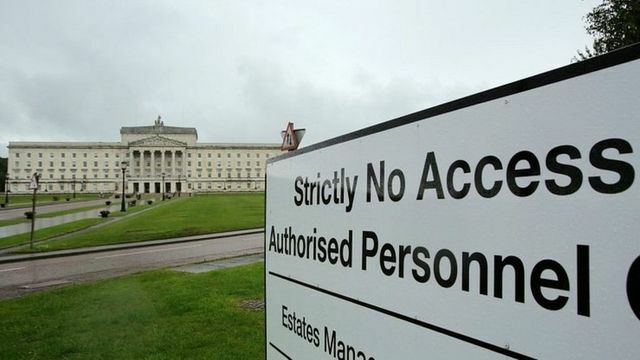 The £1 billion promised for Northern Ireland in the deal raises further questions. The Northern Irish Executive would likely provide the delivery mechanism for the money, incentivising Sinn Fein to make a deal, but the new cash will not replace the £500 million per year that Northern Ireland receives from the EU. Areas with Nationalist communities benefit most from EU development funds. If Nationalists feel frozen out of the Brexit process, local sectarian tensions will rise in Northern Ireland, along with a sense of disenfranchisement. Both sides want to avoid a no-deal situation and a hard Irish border, which would increase security risks and punish the economies in each country. Meanwhile, Conservative MPs are reportedly wary of the socially conservative DUP retoxifying the party’s brand, which could damage the government’s weakened authority in parliament and its electoral prospects. Labour backbenchers have already used social issues to drive a wedge between the two parties, and extracted a concession on abortion access for Northern Irish women in June, highlighting constraints on policymaking. The DUP deal establishes a fragile equilibrium in Westminster, but the Conservative government’s position could become less tenable if no deal is reached in Stormont. Brexit requires a complex balancing of interests that could overwhelm any government. The situation in Northern Ireland has already deepened this challenge. The Northern Ireland Secretary, James Brokenshire, has said he will "reflect" on his next move after talks failed to restore a power-sharing executive. Sinn Féin's Michelle O'Neill said the deadlock was a "consequence" of the Democratic Unionist Party's (DUP) support for the Tory government. The failure to reach a power-sharing deal was a "monumental failure" by Theresa May, she said. DUP leader Arlene Foster said her party will "keep working over the summer". Northern Ireland has been without a functioning devolved government since January, when the coalition led by the two biggest parties, the DUP and Sinn Féin, collapsed over a green energy scandal.